“My hero”, that’s what I called her. Especially when I knew her long enough to realize what she was about. She was tiny in stature, but so tough, tenacious, and very talented in many ways. In spite of personal and health set-backs, she became a talented artist, gardener, and nutrition expert. 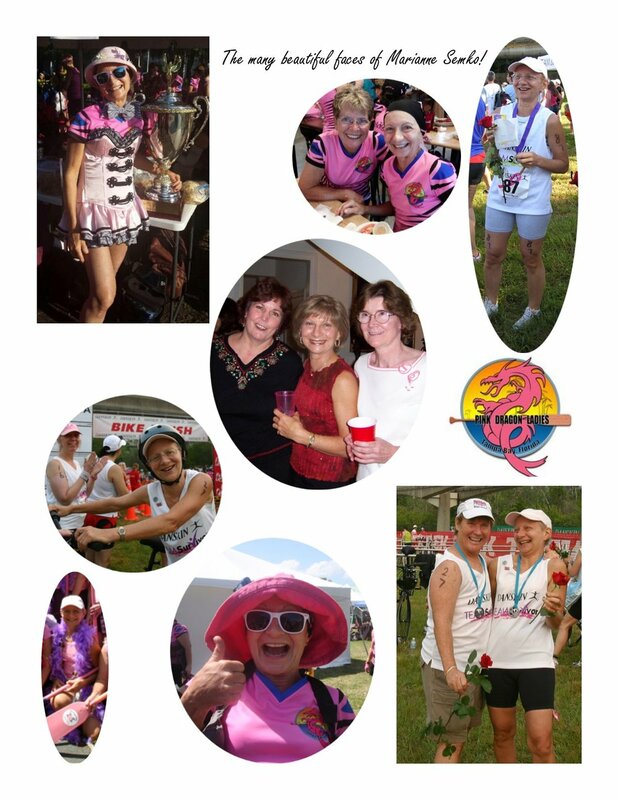 She loved traveling and going to races with the Pinks was a joy for her. Included in team travels, she went to Burlington, VT, Puerto Rico, Peterborough, Ont., and New Orleans, as well as numerous Florida races. Her artwork was used to make notecards that were very popular sales at many races. Her art on canvas was featured at a team fundraiser on Harbor Island, with an art themed ride-along in our dragonboat. She always contributed to the team with her time and talent. Along with several other Pinks, she participated in the Dirty Girl Mud Run, and shared mud and funny stories with us all. She had also participated in the Survivor Triathlon with other Pinks in 2006. Her grandchildren were a great joy to her, and she cherished their visits. She proudly displayed their photos on her refrigerator, and could tell you all the latest adventures. One of her last adventures she shared with the team, was our bus trip to the New Orleans race in May 2014. Even though her health was failing, she was determined to join the group in exploring the Big Easy. When it came time to race, she bravely suited up in a drummer’s costume, and climbed onto the drummer seat. Somehow she made it through the races and back to Tampa. A few months were all that remained for her, and we had to let her go in October. We faced the 2014 IBCPC event in Sarasota without her, but we were all better for having known her. In the 10-year photo album of the Pinks, a tribute to her reads “Paddler, drummer, friend, artist, survivor, champion”.